KHARTOUM, SUDAN (ANS – February 20, 2018) A Sudanese Bishop is supporting the call of Pope Francis to pray and fast for peace in South Sudan, and the Democratic Republic of Congo (DRC) on Friday, February 23rd. According to a press release written by Murcadha O Flaherty of Aid to the Church in Need (www. 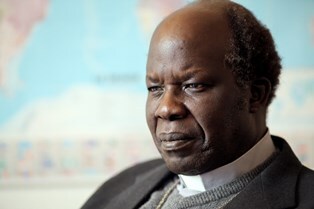 acnuk.org), a Catholic charity — also known as ACN — said that Auxiliary Bishop Daniel Adwok of Khartoum, whilst endorsing the Holy Father’s request for prayers, described how “terror reigns” in neighbouring South Sudan. They also quoted the Bishop as stating that terror reigns in South Sudan, with warriors, government and politicians, grappling for power, positions, and not minding the fate of the ordinary Southern Sudanese. “The fact that until today no one knows — the government itself does not know — how many people died in South Sudan since the start of the war in December 2013 is indicative of how the value of the human person has become of no worth in South Sudan,” he said. “No one keeps count and it looks as if those who died of violence. 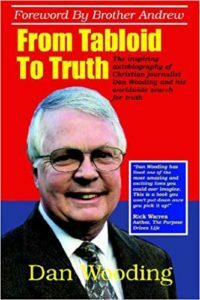 Some of hunger and other mistreatments were ‘unfortunate’ — [as if] they were in the wrong place at the wrong time. ACN maintained that as well as bringing attention to the situation in South Sudan, Pope Francis highlighted difficulties in the DRC, where Christians have been protesting President’s Joseph Kabila’s failure to step down after his constitutional term of office expired in December 2016. It revealed that DRC security forces killed at least four people and injured several others in attacks on more than 130 churches around the country last month, including an unprovoked attack in the grounds of St Dominic’s Church, Linete, where a policeman shot Father Jean Nkongolo in the face with a rubber bullet. ACN said that in support of Pope Francis’ request, the Pontifical Council for Interreligious Dialogue statement called for other faiths to consider holding “moments of prayer, fasting and reflection, according to their own traditions and in their own places of worship”. It stated that last year ACN’s support for the DRC included supporting 1,229 seminarians in 41 seminaries as well as providing yearly spiritual retreats for priests because of extreme psychological pressures. Projects in South Sudan included Mass stipends and training for 21 seminarians in Tombura-Yambio Diocese, it said. Founded in 1947 by Fr. Werenfried van Straaten, whom Pope St John Paul II named “An outstanding Apostle of Charity,” the organisation is now at work in 140 countries throughout the world. Photo captions: 1) Auxiliary Bishop Daniel Adwok of Khartoum, Sudan. 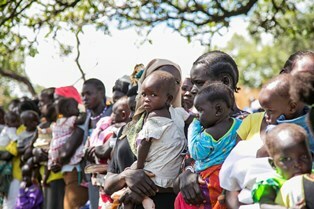 2) DRC Mothers and children queuing at South Sudanese Baptism Mass in Palabek Refugee Camp. 3) Sheraz Khan. ** You may republish this and any of our ANS stories with attribution to the ASSIST News Service (www.assistnews.net). Please also tell your friends and colleagues that they too can have a free subscription to our news service by signing up there.